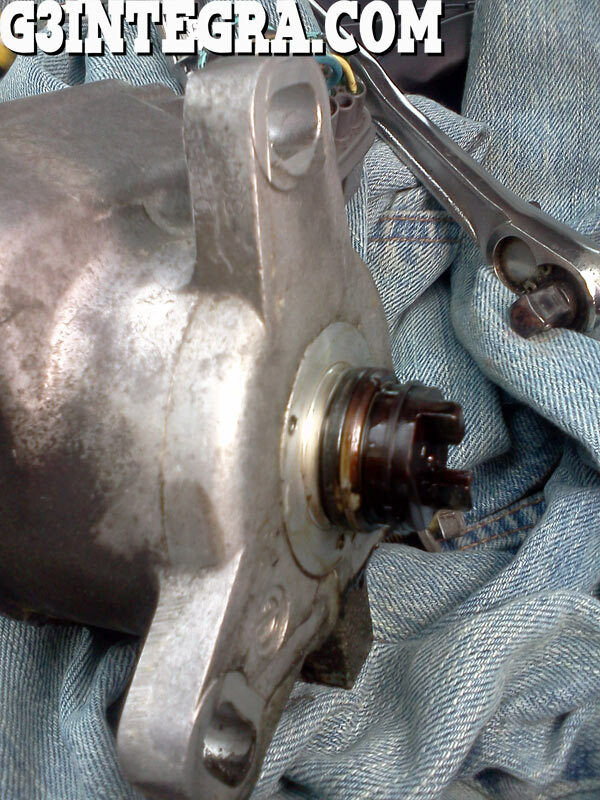 There is an o-ring behind the distributor that prevents oil from leaking from the hole in the head of the engine. Here is a picture. The o-ring is the black ring up against the back of the distributor body. The back of the distributor has a shaft assembly you can see in the picture. This shaft must line up and mesh with the intake cam. If you look inside the hole in the head that the distributor covers you will see the "female" end of this shaft link. It may be easier to handle the distributor if you remove the spark plug wires and distributor cap. Buying an Integra set me free, so I’m doing it again. Cobalt oil filter cover tools found!